Flora Wong & Associates Sdn. Bhd. 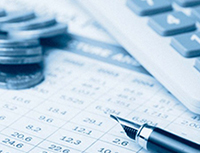 is a licensed financial planning service provider under the Capital Markets and Services Act 2007. At Flora Wong & Associates, we pride ourselves in providing a straight-to-the-point personalized consultancy to help individuals, families or businesses to attain a trouble free wealth protection, buying power preservation and wealth creation for their preferred future lifestyle. 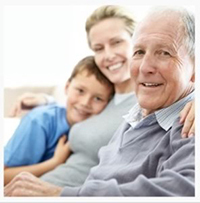 To further enhance the peace of mind of our clients and to minimize the anxiety and hardship of their love ones in the event of their passing, Flora Trustee Bhd was formed to safeguard the will of wealth distribution plan and to ensure that there will be a consistent and constant source of sustenance from the accumulated assets and wealth. The principle of Flora is no other than Flora Wong Foong Koi, who had been actively writing Wills with Rockwills when they were known as Trust wills before year 2000. She had organized Will seminars for organization as well as to fellow Will Writers during her days with Trust wills. With the aim of excelling the financial sector, Flora has enrolled with various institutions to qualify herself with the proper skills and knowledge that is crucial in financial prudence planning. Through the years she has enrolled and graduated with Chartered Financial Consultant (ChFC), Chartered Life Underwriter (CLU), Registered Financial Planner (RFP) and Islamic Financial Planner (IFP), she is a Licensed Financial Planner. A TRUST is a legal arrangement concerning the ownership and disposition of assets. The owner of the assets “the Settlor” entrusts and transfers legal ownership of the assets to another person or company called “the Trustee” under a Trust Deed. The Trustee then acts for the benefit of the named Beneficiaries in the Trust Deed for a specific period under specific instructions to manage, protect, accumulate, preserve and distribute the assets. It will also outline the duties and responsibilities of the Trustee. A trust is an arrangement whereby property (including movable and immovable) is managed by one person (persons/organizations), this person is call a trustee, for the benefit of another. The trustees hold legal title to the trust property (or trust corpus), but they are obliged to hold the property for the benefit of one or more individuals or organizations, the beneficiary. And to provide a full financial wellbeing solution to its clients, Flora Trustee Bhd was created for the sole purpose of making sure the specific instructions to manage, protect, accumulate, preserve and distribute the assets of the settlor. At Flora Wong & Associates, we actively participate in the process of wise management of one’s finances to achieve certain goals and dreams, while at the same time helping negotiate the FINANCIAL barriers that inevitably arise in every stage of life to achieve the preferred lifestyle. Our ESTATE PLANNING service focus on the elimination of uncertainties of the estate administration besides maximising the value of the estate by reducing taxes and other expenses. 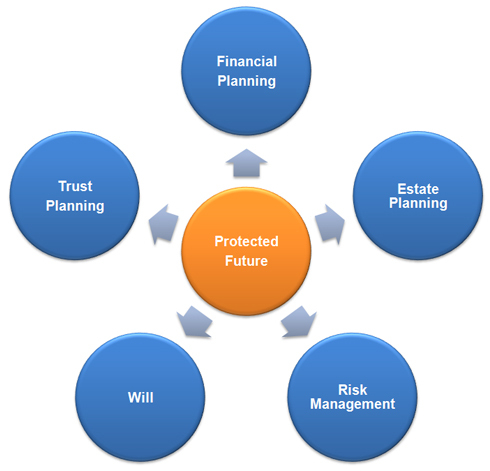 It is mainly about organizing one’s assets for the benefit of personal and future beneficiary. A WILL is a declaration prescribed the intention of the person which his/her wishes taking effect on or after his/her death. We, Flora Wong & Associates are the expertise in advising and executing the written wishes of the testator with full confidentiality. Flora Wong & Associates manage to identify, assess & priorities the RISK that one may face by providing a financial planning to coordinate and economically advise in order to minimize the impact of the unfortunate events.